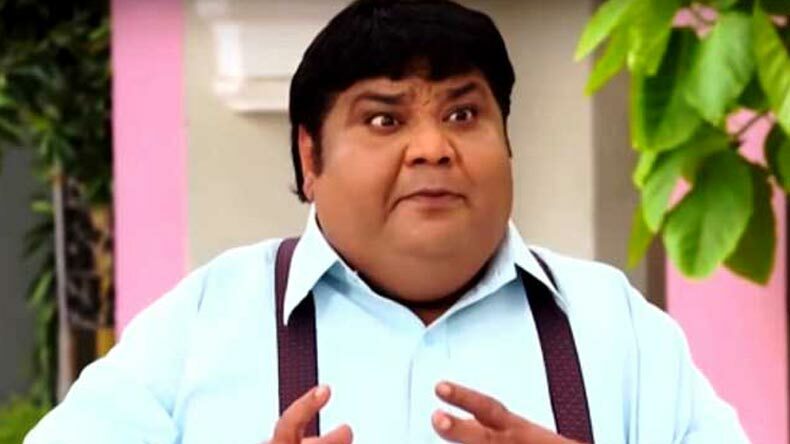 Dr Hathi aka Kavi Kumar Azad, who shot to fame after he played Dr Hansraj Hathi in India's one of the greatest family sitcoms Taarak Mehta Ka Ooltah Chasma, passed away on Monday in Mumbai after suffering a heart attack. Show's producer while speaking on his sad demise said that he was a great actor and a positive person. Dr Hathi aka Kavi Kumar Azad, one of the most loved character in India’s longest running sitcom Taarak Mehta Ka Ooltah Chasma, passed away on Monday after suffering a heart attack. The entire cast, crew and fans of Taarak Mehta Ka Ooltah Chasma was in shock ever since this sad news hit the entertainment industry. Reports say that Dr Hathi had informed show makers in the moring that he will not come for the shoot as he was keeping unwell. He was rushed to Wockhardt Hospitals but couldn’t survive. Some reports say that he slipped into coma before he suffered a heart attack. Dr Hathi aka Kavi Kumar Azad is an actor, producer, poet, writer and stand-up comedian. He hails from Bhojpur in Bihar. He was born on January 2, 1973 and shot to fame after he played the role of a doctor, Dr Hansraj Hathi, in SAB TV’s popular show Taarak Mehta Ka Ooltah Chasma. The show first aired in 2008, has been running successfully since then and rules the charts even today. Taarak Mehta Ka Ooltah Chasma is India one of the longest-running sitcoms in which Kavi Kumar Azad was playing the role of Dr Hansraj Hathi. The Hathi family in Taarak Mehta Ka Ooltah Chasma comprises of Dr Hansraj Hathi, Komal Hathi who plays the role of her wife, Gulabchand Hathi who plays his son in the program. Dr Hathi joined Taarak Mehta Ka Ooltah Chasma in 2009 and since then he has been successfully portraying the character of Dr Hathi. Dr Hathi was famous for his popular dialogue which keeps on repeating in the show Sahi Baat Hai and was an avid lover of food. His character and stories in the show always were based on his eating habits as he was shown as a big foodie. Kavi Kumar Azad demise news has completely devastated the entire team of Taarak Mehta Ka Ooltah Chasma. Show’s producer Asit Kumar Modi while paying tribute to Dr Hathi said that he was a very positive person and an amazing actor. He always used to come for the shoot even when he was unwell. Today he called that he will not come for the shoot as he was ill. Modi added that they were too numb to say anything more on this.